Island hopping is the perfect way to experience some of Thailand’s most stunning beaches. With so many islands to choose from, each offering something as beautiful or even better than the last, the ideal way to see them is to spend a few days on each. Among the best-known islands within the Gulf of Thailand are Koh Phangan and Koh Tao. Koh Phangan is the fifth largest island in Thailand and is most famous for its Full Moon Parties. 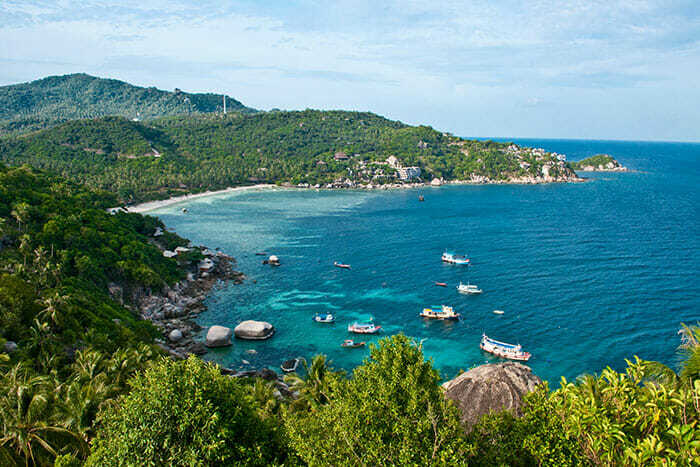 Koh Tao, on the other hand, is far smaller and has a magical laid-back atmosphere along with abundant beaches, scenery, and wildlife, and it’s building quite the name for itself as a top diving destination. If you’re considering hopping from Koh Phangan to Koh Tao, read on for information on the best way to do this. • Which boat should you choose? What Transport Options are there to get from Koh Phangan to Koh Tao? As a smaller island, Koh Tao does not have its own airport so this leaves boats as the only way to get here. Not having an airport has allowed Koh Tao to stay a little quieter than the nearby islands of Koh Samui and Koh Phangan, so although it may take a little longer to get here, the tranquility will be well worth the extra travel time! Although a ferry is the only way to get here, there are three different companies who offer services between Koh Phangan and Koh Tao. The prices, level of comfort, and schedules will vary slightly between them all, so you can pick which one will suit your travel plans and requirements the best. We’re going to break down in detail all of the services from each of the three companies below, so you get the full picture when making a decision. Lomprayah is one of the best known and most reputable tour companies in Thailand and has been operating high-speed catamaran ferries since the 1990s. 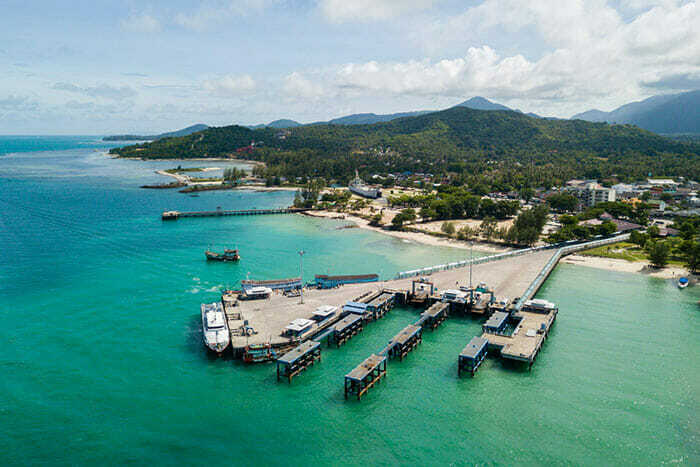 A popular choice for passengers traveling from Koh Phangan to Koh Tao, Lomprayah operates two high-speed services every day, and often a third, later in the day too. Their regular services depart from Thong Sala on Koh Phangan at 0830 and 1300, and, if there is a third service running, this will usually be late afternoon but can vary depending upon the day and how much demand there is so it’s worth checking ahead if you’re interested in a later sailing. The high-speed catamaran is the fastest way to get from Koh Phangan to Koh Tao, taking just one hour, and these ferries are modern and well equipped with air conditioning, stewards, a snack service, and of course bathrooms. They are comfortable too and have a good safety record. For the pleasure of getting to Koh Tao faster, you do pay a little more than you will with the other companies, but it’s not so much that it makes Lomprayah unaffordable unless you’re traveling on a very tight budget! 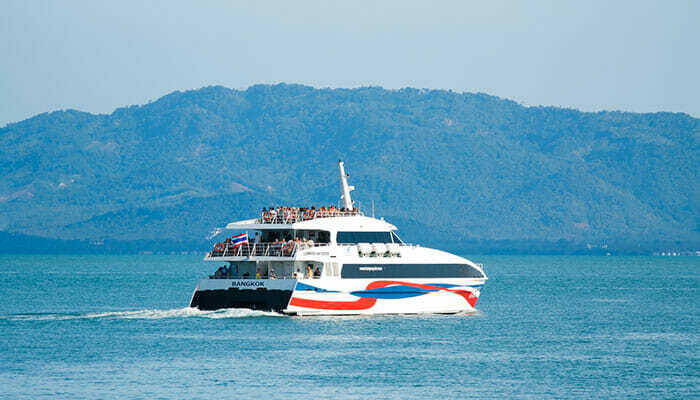 The second option for a ferry from Koh Phangan to Koh Tao is with Seatran Discovery. 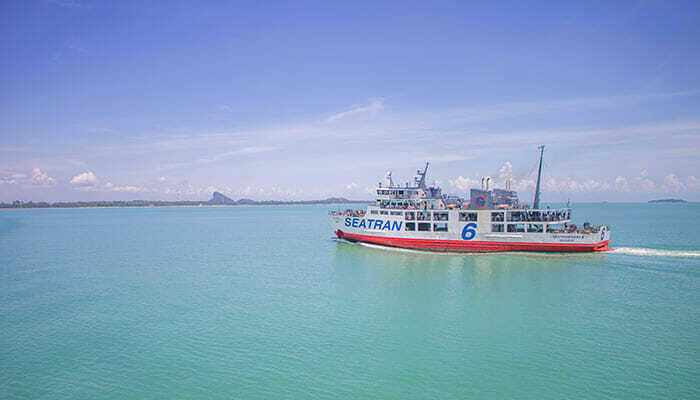 Another big company in Thailand, Seatran operates a high-speed ferry as opposed to Lomprayah’s catamarans. It’s still fast though, taking about 90 minutes – so roughly 30 minutes longer than Lomprayah’s service. You will save yourself just over 100 baht on a ticket for the Seatran ferry, and the ferry itself is quite well equipped, so not particularly dissimilar to the Lomprayah catamarans. Seatran Discovery regularly operates three sailings per day so you may find that their schedule fits in better with yours. Their departures are at 0830, 1330, and 1700 so they’re nicely spread across the day. The third company you could consider is Songserm. 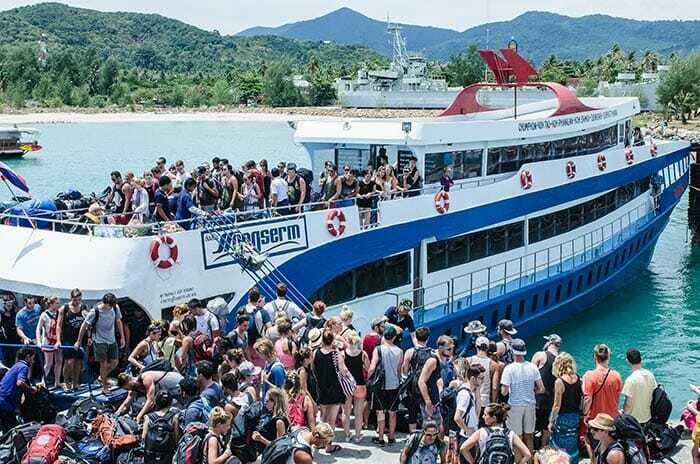 The advantage with Songserm is that it is the cheapest ferry from Koh Phangan to Koh Tao, however, it is also the slowest. Songserm ferries take around 2 hours, so you’re doubling the sailing time when compared to Lomprayah, but, you will be saving a few hundred baht on the price of the ticket. The ferries are still considered to be quite comfortable and safe although there are fewer facilities onboard, and another drawback is that they have only one ferry per day making the crossing between the two islands. It departs at 1230 and arrives at Koh Tao around 1430, so at least it’s a nice sociable time! Which Ferry Should You Choose from Koh Phangan to Koh Tao? It’s not always possible to have the luxury of choice when it comes to buying ferry tickets, but if you are able to choose from any of the three ferry companies, which one should you choose? If you’re someone who can easily get seasick, you should plan to go with Songserm. Their ferries take the longest but this is because they travel slower and hence there will be less wave resistance and less movement, and hopefully less feeling nauseous! Being the fastest, Lomprayah’s catamarans will usually be more rough than the ferries, but the advantage is that you’ll arrive at Koh Tao faster, so if you just want the journey to be over with, Lomprayah would be your best choice! Then there’s Seatran Discovery – the middle ground in terms of speed, choppiness, and price. Also, if you’re traveling between October and December, the waters will usually be more choppy and rough than at other times of the year, so be sure to bear this in mind too if you suffer from seasickness.